I wore this outfit on a night out with my harem of boys. To those who does not know, I am actually one of the boys. I have a lot of guy friends. Haha. I usually end up hanging out with them when our girl-friends did not join us. I remember my friend Geneva, even called one of our trips Arra and her harem of boys. Sometimes, other people think it's weird but it's actually pretty cool. 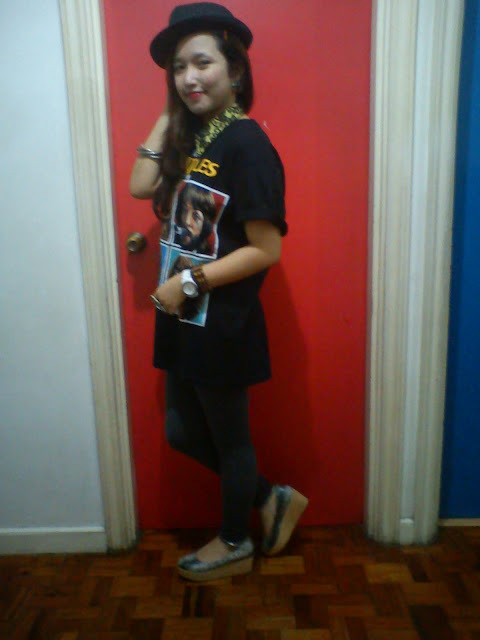 Anyhow about the outfit, I just feel very rock-and-roll-ish that night and I don't want to be that girly. So I opted for a black and gray ensemble. Who said you can't raid you father's closet? I actually do that a lot because he has a lot of loose and pretty cool shirts. 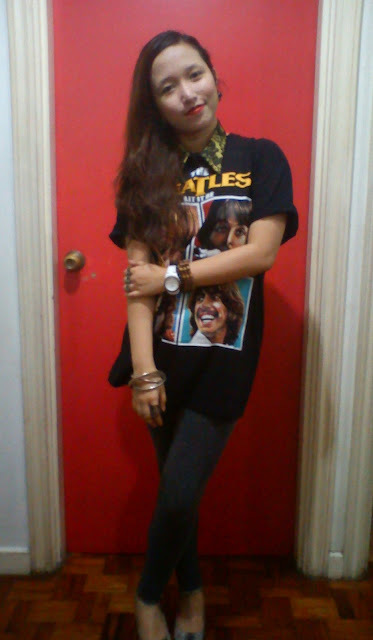 I think whenever I am wearing them, I am channeling the baggy style of the Olsen twins. 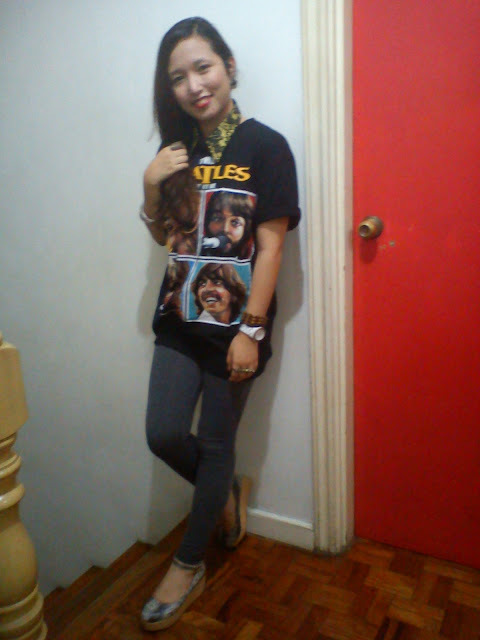 So I borrowed his Beatles shirt which he was very happy to lend me. He is proud of his shirts. Haha. On my accessories, of course to achieve the sort of rocker look, you have to have connector rings, silver bangles and beaded bracelets so that's what I used that night. 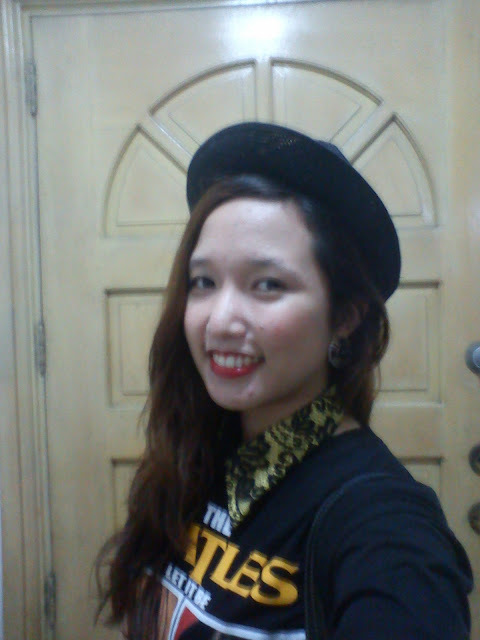 But I added a touch of girly-ness on my look by using my collar from Chic Habit. This will remind my friends that I am still a girl. Haha.